Product prices and availability are accurate as of 2019-04-06 13:33:09 UTC and are subject to change. Any price and availability information displayed on http://www.amazon.com/ at the time of purchase will apply to the purchase of this product. THIS IS HOW WE ROLL: With our patented process and design, bakers of all skill levels can achieve perfect dough thickness with each roll. 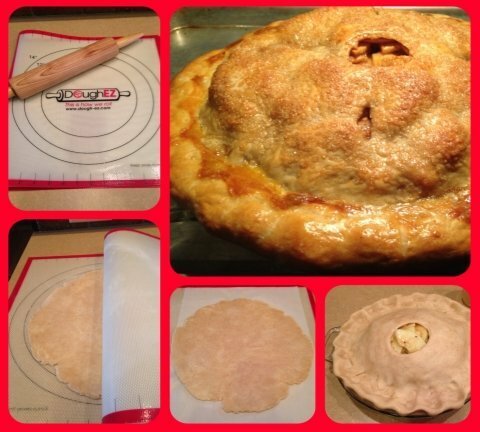 Enjoy evenly baked goods faster and easier without all the mess. 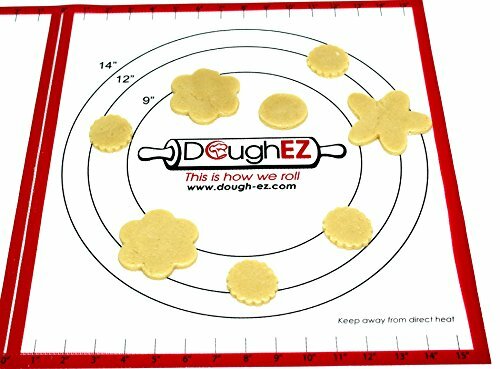 ROLL WITH EASE: DoughEZ is your simple solution for more tender and consistently baked goods. Our unique extra large, Non-Stick Pastry Mat and Guide Sticks eliminate the floury mess and stress of over worked dough. 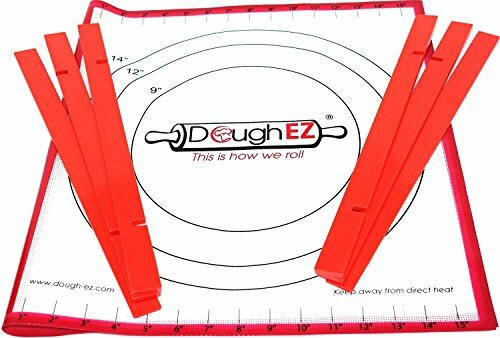 QUALITY MATERIALS: DoughEZ Rolling Mat is almost 2 1/2 times larger than your average baking sheet and is made from BPA Free, FDA approved food safe materials. 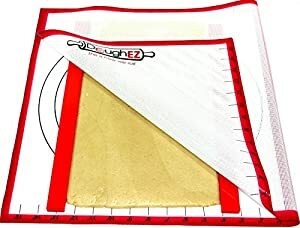 Its strong fiber mesh silicone construction is flexible and durable and our non-slip surface will not slip and slide when rolling out your dough. 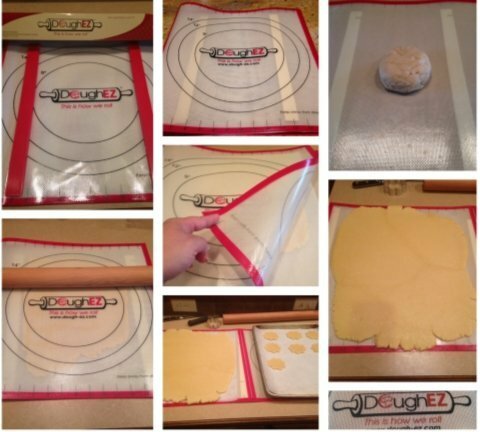 EASY CARE: With proper at home care your DoughEZ Rolling Mat can last a lifetime. Simply wash both sides of your mat with mild soap and warm water. Dry both sides completely with a clean soft cloth before rolling up and storing away. 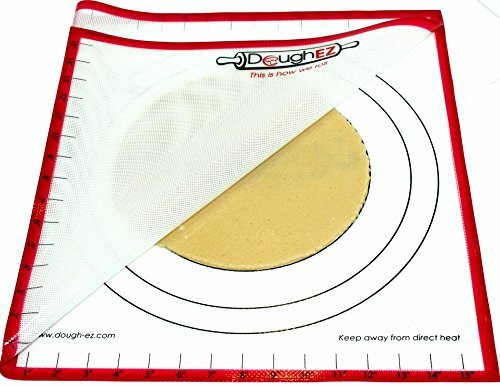 FREE RECIPE eBOOK: Receive a FREE Recipe eBook with the purchase of your DoughEZ Pastry Mat Kit. Enjoy 15 of our favorite sweet and savory DoughEZ recipes, including sugar cookie dough, apple pie, pizza dough, empanadas, cinnamon rolls and more! Learn to prepare your favorite pastries like a Pro, with no fuss and no floury mess.